The Garden of Delights label has a long history of issuing compilations pulled from their vast library of mostly obscure, German prog and psych bands from the 70s. Entry 16 moves the series forward in fine style, kicked off by the superb instrumental "Snowstorm" from the group Tetragon, taken from their lone album Nature (1971). As usual, the liner notes provide informative details about the groups and recordings to aid the listener in tracking down the individual releases. Occasionally the quality of the musicians and/or the recordings isn't stellar, but for the most part I was pleasantly surprised by the excellence shown on both fronts. To the point of wondering (as often is the case with the Garden of Delights repertoire) why the heck some of these bands weren't more successful. One gets the sense that timing or just bad luck conspired in many cases, though these groups also had to contend with small audiences and limited financial support from the German entertainment industry. Of course, some bands represented here – such as Guru Guru or Xhol – are more widely known, but the real "delight" in these compilations are the lesser known gems. These include the warm and approachable "Lizzy's Song" from Yggdrasil, or "Intro" from Surgery's sole 1980 release that borrows more than a little from mid 70s Soft Machine. 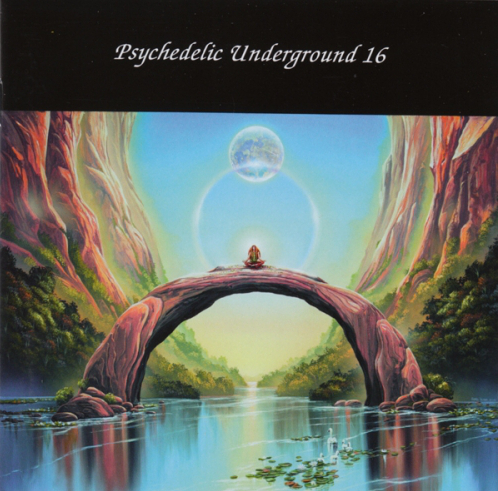 These Psychedelic Underground discs are an excellent way to become acquainted with everything the Garden of Delight folks have to offer, and much of it comes highly recommended. Dive in!